The century season comes to a close in Colorado in late August and early September. Two rides round out the season, Venus de Miles and the Buffalo Bicycle Classic. Both are true fundraisers, the one for Greenhouse Scholars, the other for the University of Colorado College of Arts and Sciences. Venus is open only to women. The Buff is open to all. 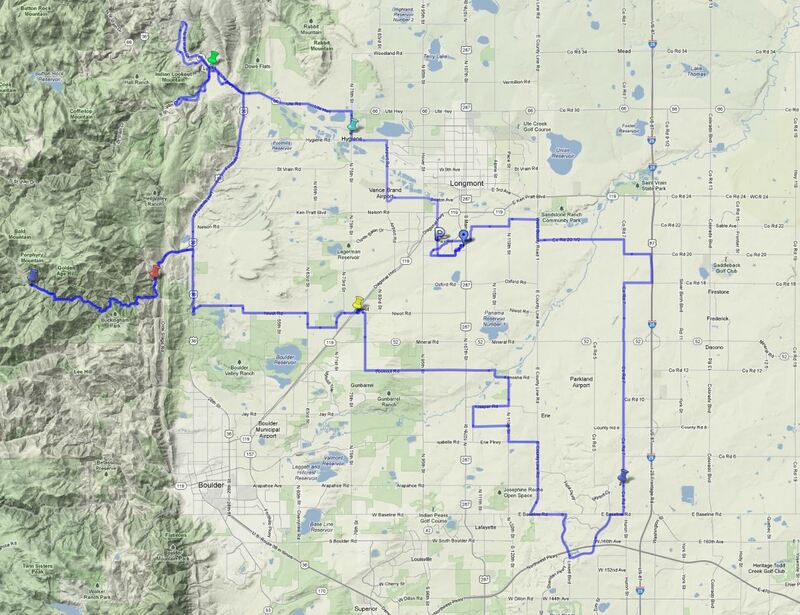 The Venus date is Sunday, September 29, and it starts and finishes in Longmont, with many options for all riders. Fees for Venus are low, approximately $90, but each participant must also donate or raise $75 for Greenhouse Scholars, so the price is comparable to other Colorado centuries. The course promises an interesting tour of eastern Boulder County farmlands with great views of foothills and mountains to the west. The 2012 century map is shown below.